KHG keeps various high-dose-measurement systems available. They are mainly used together with remote-controlled vehicles. 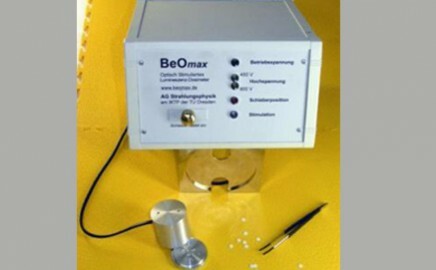 Ionisation chambers with differing volumes are used for measuring extremely high local dose rates. They are connected to the evaluation unit by a max. 100-metre long cable. The measuring range is from 0.1 Gy/h to 10 kGy/h. High doses can be detected with alanine dosimeters and the appropriate evaluation system. frequencies which can be measured in an alternating magnetic field, (Electron Spin Resonance Dosimetry). and is calibrated for readings between 10 Gy and 200 kGy. on Optically Stimulated Luminosity (OSL). Part of the absorbed radiation energy is stored in the BeO detector. luminescent light, the strength of which is proportional to the exposure dose. 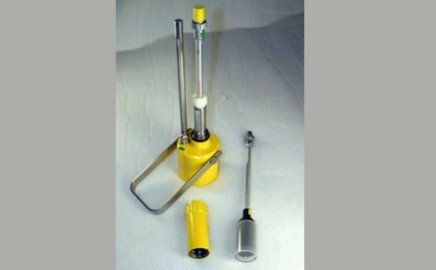 This dose measurement procedure is suitable for persons, surroundings and manipulator vehicles.